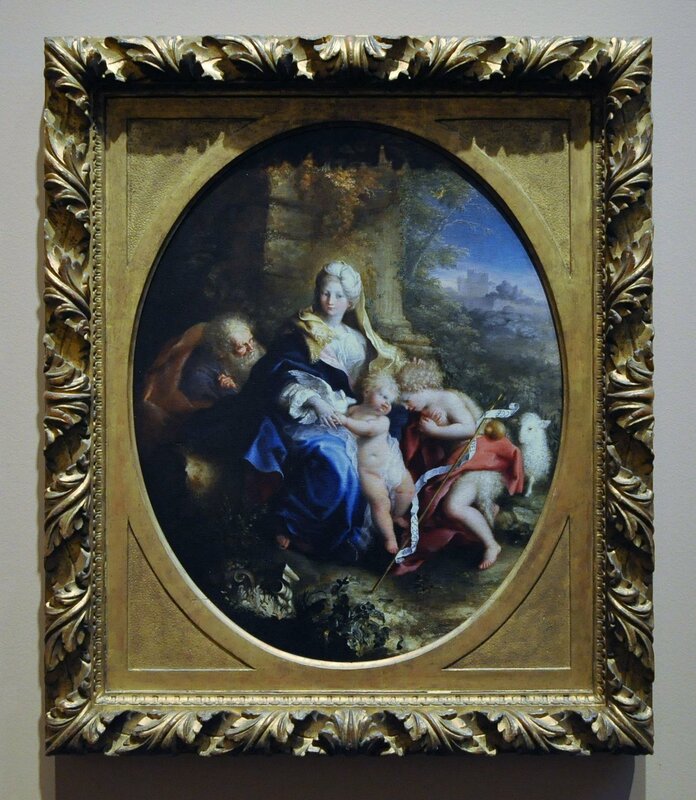 Guidobono’s beautiful version of the Holy family, with its lovely arrangement, sweet disposition, and careful craft, illustrates the artist’s distinctive variation upon the grand manner of late seventeenth-century Genoese painting. His early training in the family business of fine porcelain painting initially prepared this delicate style, to which he added the soft contours and luminous color that he deduced from Correggio’s style. With the refined drawing and meticulous finish of a miniature painting, this is one of the finest examples of his earliest manner.